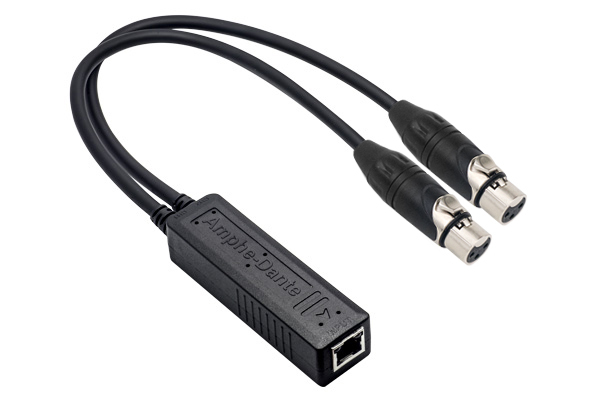 Amphe-Dante are Dante™ audio to analogue audio adapters, available for Input, Output, AES3 and USB applications. Featuring premium quality Amphenol AX series XLR and RJ45 connectors in a robust molded housing. 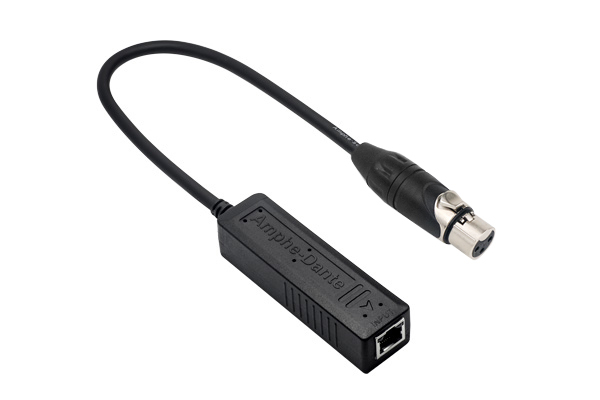 Amphe-Dante products enable simple connection of analogue equipment to a Dante network and can receive and transmit audio channels from a Dante network and provide studio-quality, low-latency audio via XLR connectors to and from analogue audio equipment. CAUTION– If using a PoE injector, it must be IEEE 802.3af compliant. Use of a non-compliant PoE injector can terminally damage the device and may void the warranty.